Using Apple Watch is fun as it acts as a companion that tracks our activity, fitness and workouts. Its hearbeat sensors monitor our heart rate and tell us about how good we are doing in running, jogging, walking and workouts. After pairing the iPhone with Apple Watch you can see that ‘activity’ app shows up miraculously in your iPhone. When the Apple Watch is paired with iPhone then you can customize it according to your needs like system settings, watch face, saved Wi-Fi netwroks, sound, language, time zone. Also you can save your health and fitness data and user entered data like height, weight and BMI. Fitness achievements data is so important that you don’t want to lose at any cost. These settings made on your Apple Watch needs to be backed up. Good news that you don’t need to manually backup the Apple Watch, as iPhone will automatically backup Apple Watch data on its storage as soon as the Apple Watch is unpaired. A backup on iPhone will let you restore your Apple Watch to your old settings and fitness data the next time you pair your wearable with iPhone. Just choose ‘Restore From Backup’ while pairing. Note : If Apple Watch is unpaired when the iPhone is not in the range then the backup will not be created. 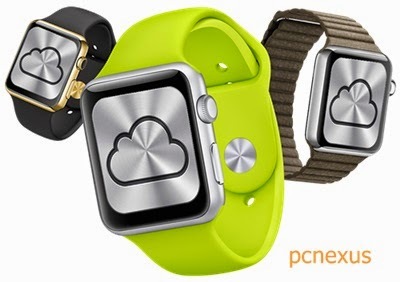 If you sync your iPhone data with iCloud then Apple Watch data will also be synced. General system settings, such as your watch face, saved Wi-Fi networks, screen brightness, sound, and haptic feedback settings. Settings for Mail, Calendar, Apple Stock, and Weather. App-specific settings, such as Maps, distance, and units. Health and Fitness data, such as history, achievements, and user-entered data like height, weight and BMI. iPhone apps that you installed on your Apple Watch. Calibration data from your Apple Watch. Playlists synced to your Apple Watch. Credit or debit cards used for Apple Pay. Passcode of your Apple Watch. Note : Unparing will erase all data on Apple Watch, so make sure that before unpairing your iPhone should be close, so that it can take a backup of your Apple Watch data and settings, otherwise no backup will be created and you will lose all your fitness data and settings.